This is an advertisement regarding "Saving the Earth" for you and for your offering. It shows the importance of wildlife protection. support. 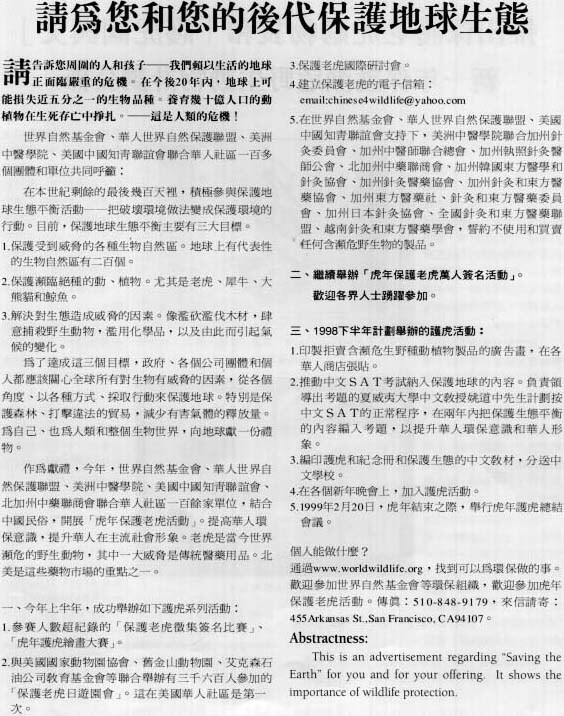 Previous article : Letter to Chinese herb dealers. Next article : "Saving Tigers" shopping bags and "Pictures and Words of Tiger Conservation".